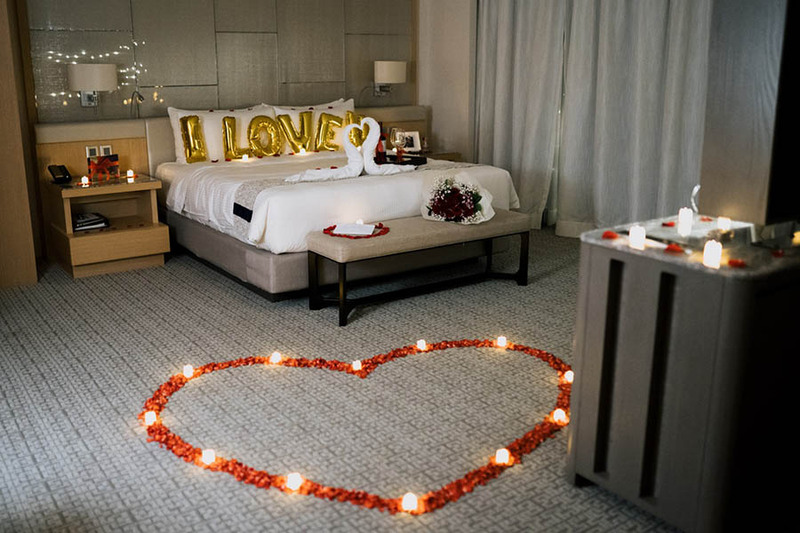 Wracking your brains on how to pull off a successful surprise marriage proposal? Stuck on ideas for a proposal theme and what to say to your girlfriend when it’s time to ask for her hand in marriage? To propose, you need to be confident that she will say “yes”. Although you both are truly madly deeply in love, it doesn’t always mean that she is ready to tie the knot. There are many other aspects that could affect her decision. To find out her thoughts, it cannot be instant. You need to take the time to slowly discuss each other’s life plans for the short term as well as long term. From there, you will find out if she includes you in her future and you will know if it’s the right time to propose. Asking for her parents’ permission is also necessary. Not only is it a good tradition of showing respect, but it also helps to increase the probability of her saying “yes”. Now that you know she will marry you, why must you propose nicely? Asking “Will you marry me?” isn’t about the question and answer at all. It’s about romantic moments that will be cherished forever and ever. It is about creating a beautiful memory to look back on, to remember how in love you were and why you decided to marry each other. It is about a love story to be told over and over again to your children and grandchildren. It should be a moment that all her friends enthusiastically talk about, and should be a once-in-a-lifetime experience that both of you will never forget. It’s good to pick a sentimental location to propose, but to just bring her there, bend one knee and ask her to marry you might not be enough to show how much she means to you. Show your effort by creating a personalised scenario that builds up to the proposal, like planning a series of surprises. List down the things that represent your good memories together as well as the things she loves. Then include those in the plan to show that you care for all details of your relationship. 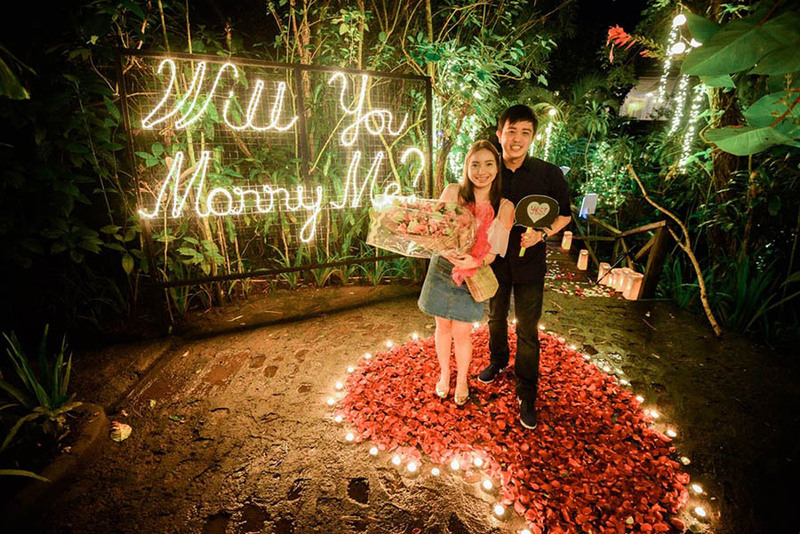 By doing this, you will create your very own unique and personalised proposal story. Most guys rarely tell their girlfriends how much and why they love them, although they know that they would want to hear it. Take this opportunity to tell her all your feelings and why you want to spend the rest of your life with her. Practice the speech in advance and don’t forget to say that classic sentence, “Will you marry me?” out loud too. However, some of you may feel anxious in that nerve-wrecking moment, and it is possible that you will forget all that you’ve prepared. So as a back-up, you may want to write it down in a love letter and have a “Will You Marry Me” message spelt out somewhere nearby. Have the moment recorded via photographs and video. A video can capture all that happens during the proposal without missing any elements, including her reactions. When you show it on your wedding day or share it with friends, everyone will know the whole story and feel as if they were there too. Photographs, meanwhile, can be shared on social media and easily framed. Select professional photographers or videographers who have experience capturing proposals as there are special techniques in capturing a live and unique event, especially if they have to do undercover tasks “paparazzi style”. It is not like what takes place during a wedding, where we can ask the bride and groom to walk slowly or retake the scene. It is also very important to explain and rehearse the proposal scenario with the photography and videography team so that they will not miss the moment. The goal of the proposal is to make her feel like a princess, not only sentimentally but also physically. Make sure both of you are dressed up nicely and match a similar theme. You don’t want to wear a suit while she is in jogging pants. So, do give her some clues that she needs to get dressed up for a special occasion. It will be easier if you are proposing during a birthday or anniversary, but if not, you should come up with another scenario or ask her friends for help too. Also, a small detail that shouldn’t be missed out is her nails. As you will be putting the ring on her finger and her nails will be captured on camera, it’s good to make sure that her nails are nicely done or at least neat and clean. During that nerve-wracking moment, the last thing you want is to have things going out of hand that could ruin everything. So, you have to identify all possible risks and think of ways to prevent them in advance. 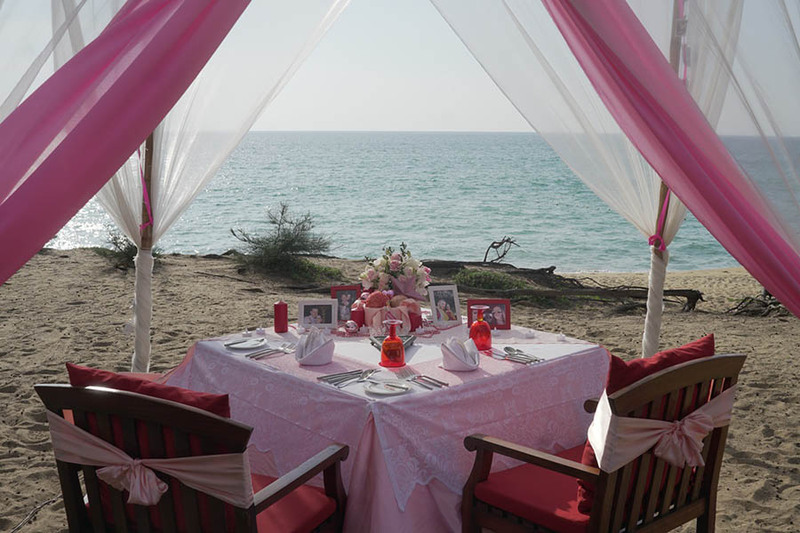 Choose a proposal date and time away from hectic seasons of work or any busy activities. Make sure that she is relaxed and in a good mood on the proposal day. Her health is also important. 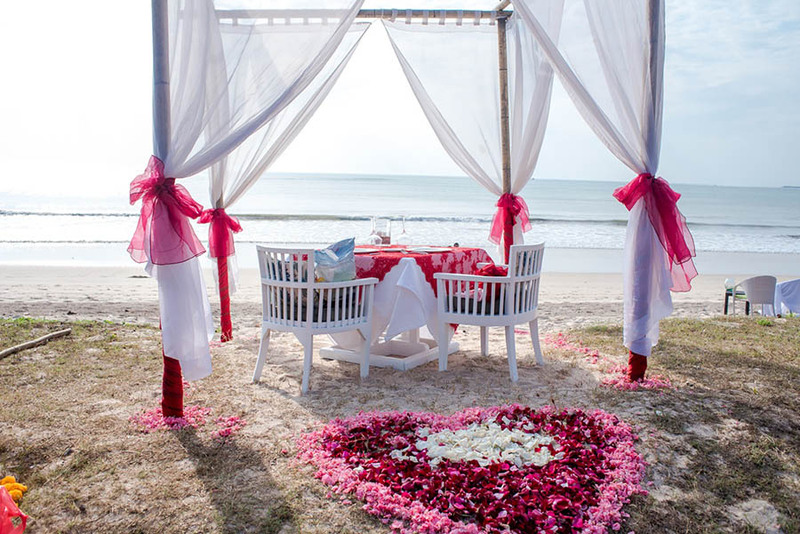 If you are doing a destination proposal, it is better to propose during the earlier days of the trip, as she will be in a happy mood from being in a fresh, new environment and will not be too tired yet, while you will also not need to keep the proposal a secret for too long. Local food is definitely a must-try, but be careful if her stomach is sensitive, so try it only after she says “yes”. It will be easy if you are the kind of guy who always carries a bag. If not, get a ring box that is thin and not bulky so it fits in your pocket. Or you could leave the box at the proposal spot and only carry the ring with you on the way there. Don’t hide the ring in food, not only because she may choke on it but also because the ring will get dirty and the diamond won’t look as shiny as it should when covered in oil. A problem may also arise if you are bringing the ring through airport security checks for your destination proposal. If the ring is made of real gold without any silver, it will not activate the security alarm. 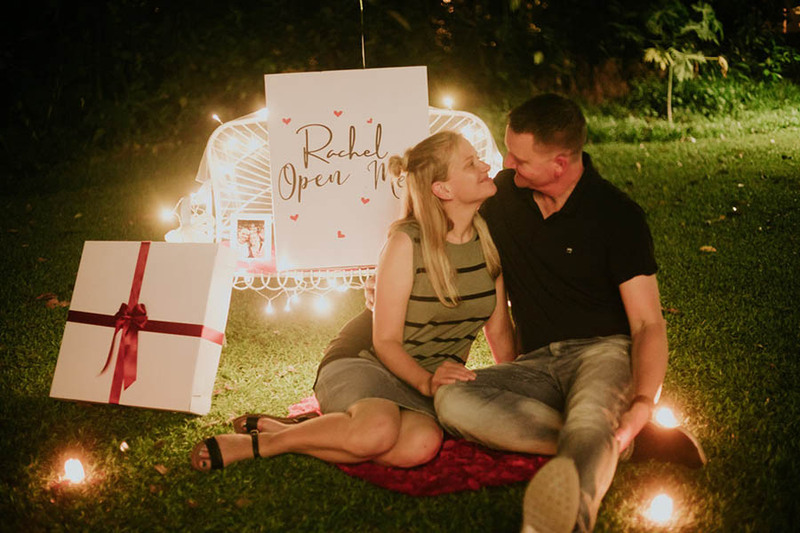 But as a back-up plan, you may want to have a small note stuck on the ring box explaining that it is a surprise proposal so the security staff will know and not ruin your plan. A preparation period of at least four weeks is recommended to plan a good proposal. With this time frame, you will be able to research proposal ideas, choose the right vendors, visit the venue, discuss the plan, calculate all costs to fit your budget, create a rundown, finish all preparations, come up with back-up plans, practice your speech, and do a scenario rehearsal. A last-minute proposal could result in many unexpected circumstances and may cost more than a well-planned proposal. 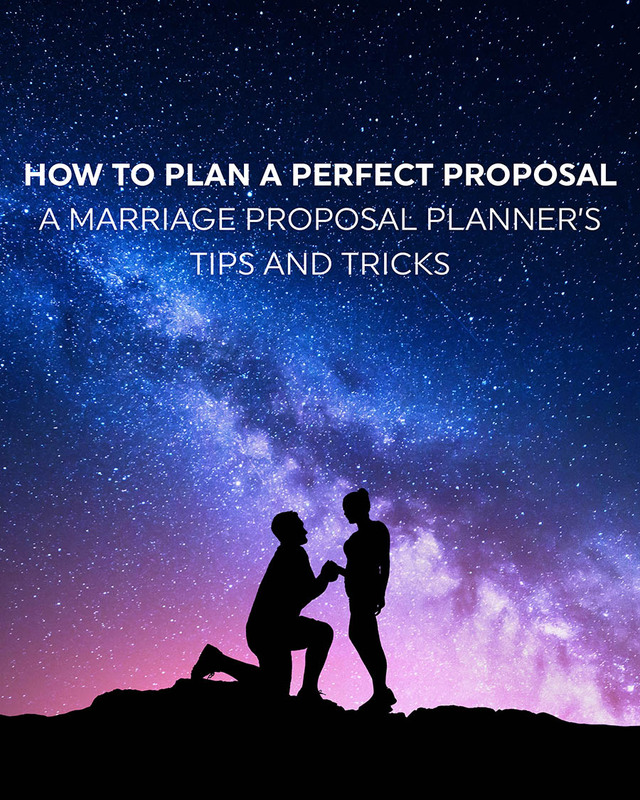 Avoid public proposals as these have a greater risk of unexpected events taking place. Also, don’t share your plan with anyone unless necessary so that the proposal comes as a complete surprise. Planning a proposal is not simple at all. There are many factors to be considered, from creating a unique and personalised scenario and finding trusted vendors to negotiating and coordinating with all vendors, venue decoration, budget management, time management, event arrangement, back-up plans, logistics, cleaning up and more. A proposal planner will deal with all these behind-the-scene complications. They will help you plan your proposal effectively and will make sure everything goes as smoothly as planned on your important day. Thanks for sharing these helpful tips, Pailin! Having a ring makes it feel more “real”, but if you’re unsure about your partner’s tastes and the kind of ring she likes, try getting a loan from the jeweller you’re hoping to get the actual ring from, or use another item to symbolise how serious you are about getting engaged. 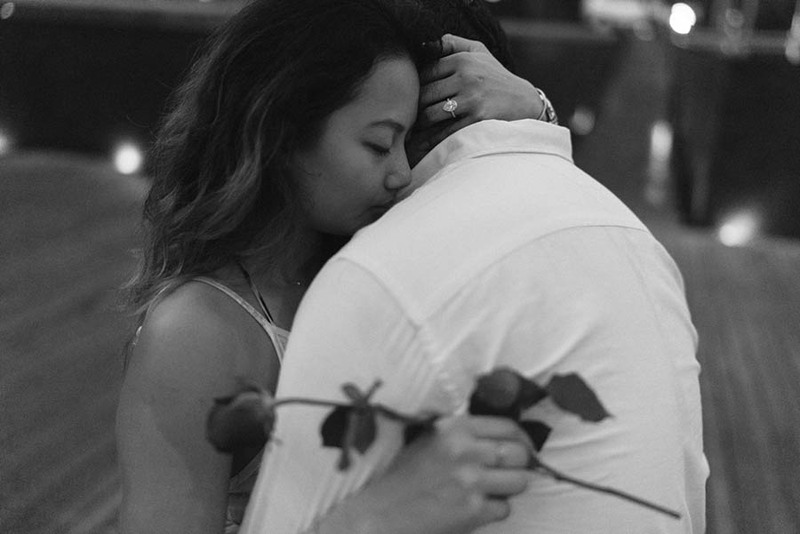 A pretty engagement ring might be guaranteed to make her swoon, but a successful proposal isn’t just about the size of the rock; it’s also about creating a beautiful shared moment between the both of you. Some women like roses and some don’t. Some prefer a private proposal, while others may want their family and closest friends around as witnesses. Whatever type of proposal you plan to do, make sure the location and details are aligned with your girlfriend’s personality and the entire proceedings won’t make her feel too awkward or uncomfortable. Why not? Because it’s the most predictable day of the year, and billions of couples around the world are already celebrating love on this day. Rather, make your proposal day unique by holding it on a date that both of you hold dear. This sounds obvious, but it’s easy to feel anxious and stressed before you pop the question, which results in you trying to calm your nerves by eating (too much!). 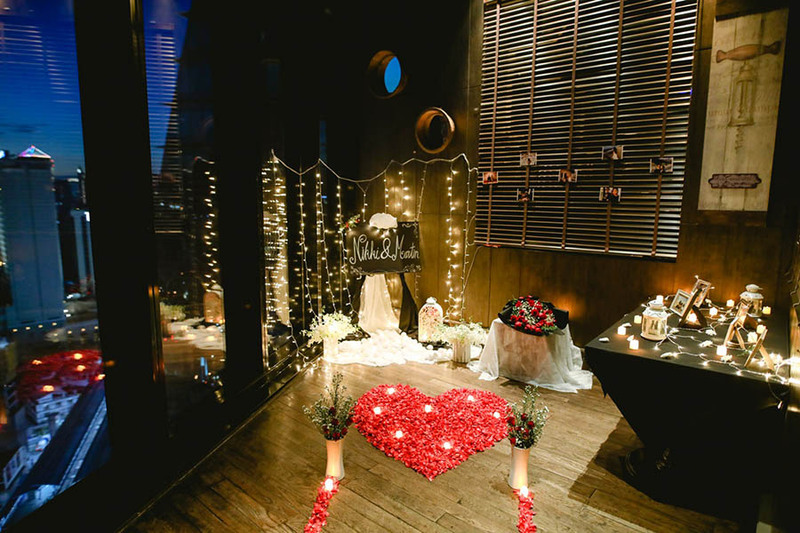 Hold the proposal first and then go for a romantic celebration afterward instead. 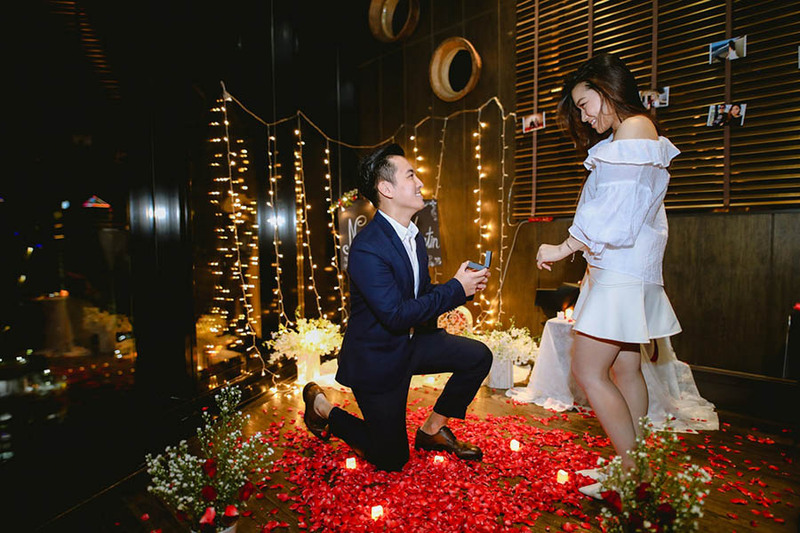 Cliché but true: Being down on one knee while professing your love is an utterly romantic gesture, and it shows that you’re willing to do everything and anything for her. 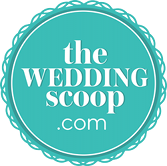 There you have it Wedding Scoopers, we hope this feature helps you in planning the proposal of her dreams! 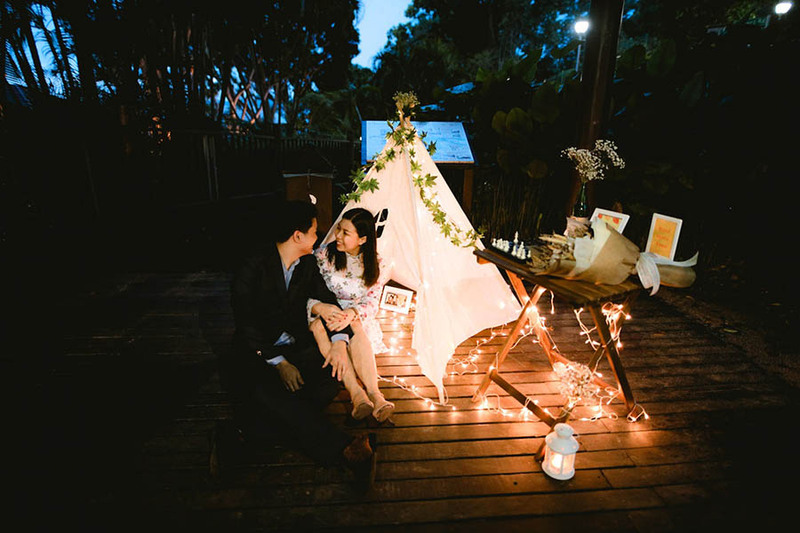 Thanks again to Pailin of Lynx Marriage Proposal for sharing these tips with us! Love these tips and tricks? Pin them!